Look, right, telling stories is hard. Very hard. Once I tried telling a bed-time story to a friend’s two-year-old child, and the pressure was immense and terrifying. It made me so nervous I went into a kind of shock. I practically regressed to being two-years-old myself, and just strung meaningless cliched observations together, focused them around wacky, overblown characters and a hackneyed conflict-and-resolution adventure plot, then tacked a happily-ever-after on the end. Then I realised the child had been asleep for ages, so it didn’t matter. Then I realised the child had been dead for ten years and it was all in my head. Then I woke up and it was all a dream. Bruce Willis had been Edward Norton all along. Then the child woke up and it was all a nightmare. See? Very hard. Don’t Go Outside, if it falters, falters here, in its handling of linear narrative. Compressing a sequence of meaningful events and relationships into a single act, in a single room, is a big ask. This play is very brave and ambitious in its storytelling – offsetting the minute and thorny details of interpersonal human relationships against the suggestion of global tragedy. But it seems to find difficulty in fleshing out an ‘event’ with proper human-seeming motivations or believably causal outcomes. Chekov’s gun flies around the set without having the requisite tension or narrative-weight, characters accept fates and circumstances with a minimum of exposition or explanation, and the resolution is kind of unsatisfying. Much stronger is the play’s treatment of character as symbol. The post-apocalyptic setting means the three main characters stand as societal ‘types’ – the alpha-male, the beta-male, and Woman trying to figure her best positioning amongst these possibly equally toxic personalities. Producer and writer Katie Gibson (known as Victoria when she’s acting) gives a performance that’s at once bold and nuanced, the variety and detail of her movements and tones bringing a true complexity to the play’s central character. The fluidity of the staging, the brutishness of the castle-setting, and the 360-degree audience perspective, mean she’s ‘surrounded’ in all kinds of figurative and metaphorical ways, which is poignant. As far as ‘reasons to go and see this play’ go, though, you really don’t need to look much further than the fact that it’s performed in the Great Hall of Newcastle’s 13th century castle keep. It’s just straight-up stunning as a place to hold an event of pretty much any kind, and Don’t Go Outside utilises the space – somehow cavernous, claustrophobic, expansive, and labyrinthine all at once – to full immersive advantage. As an event, this is properly atmospheric, sensually stimulating theatre. Probably not a great bed-time story, though. 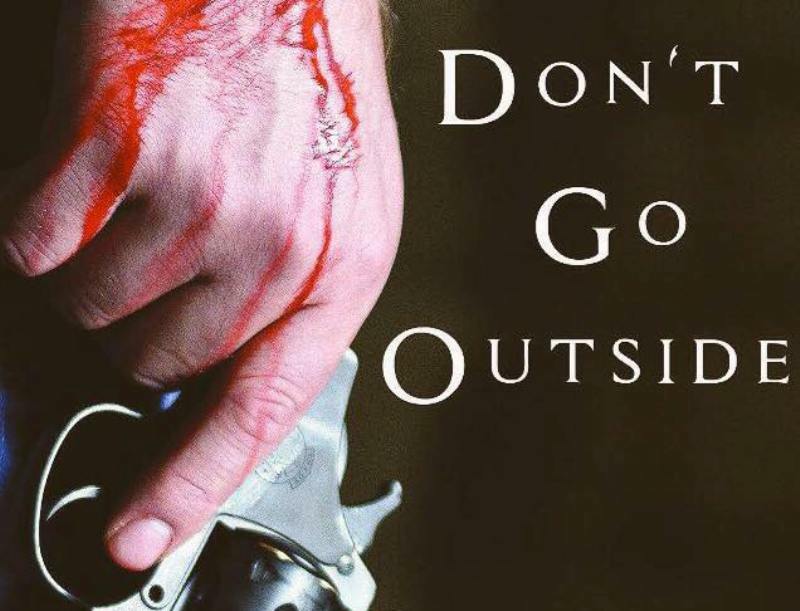 Twenty Seven Productions’ Don’t Go Outside is at Newcastle Castle and runs until Sunday 5th November.